Now is the time to get crafting in earnest for Halloween because October 31st comes around so quickly every single year. I love making things from felt fabric because I find it an easy material to sew with. 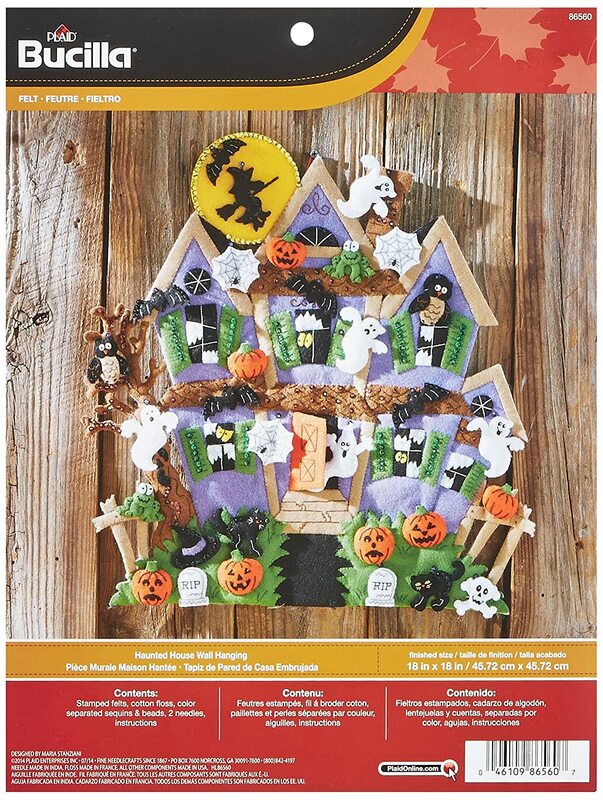 Bucilla, who are renowned for their wonderful applique kits, have come up with some incredible looking Halloween felt applique kits just perfect for the spook time season. You don't need to worry about edges fraying with felt because they stay just as you cut them. It is a joy to sew with and easy to push the needle through for hand stitching because it is soft. I'm presenting a few of the Bucilla kits here today with a couple of really cool hanging decorations that you will want to take out of the box every year and show off to your guests. 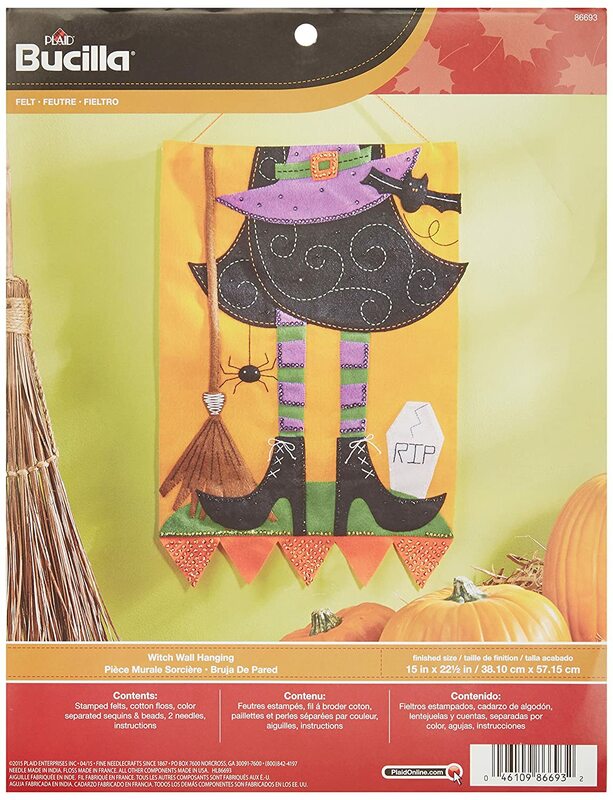 Halloween felt applique kits can make a great craft in the run up to this Fall time event. Let's take a look at what's on offer. Haunted houses are so much fun. Many people make these to put on display but this is the first time I've seen one made up from felt. It's a really gorgeously detailed looking wall hanging kit that you can make. It comes with traditional colors for the season with purples, oranges and monster greens. The house has lots of windows and a door with scary things looking out like spooky eyes and a ghost. 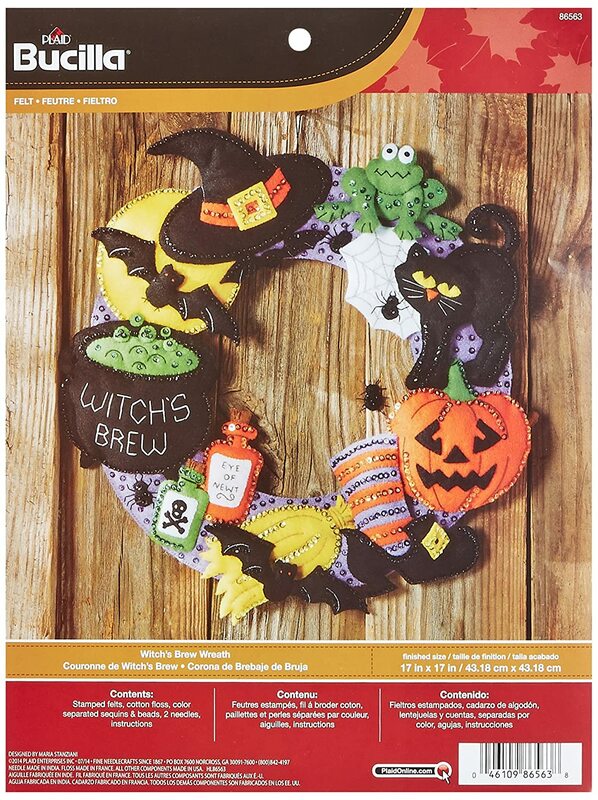 There are many other details such as pumpkins with sad and happy faces, a black cat, skull, tombstones, spider webs, frogs, bats, owls and even a witch on her broomstick riding across the light of the moon. There are sequins to add on which just give a hint of a sparkle to catch any mood lighting you use for the occasion. Great to make up for yourself or to give as a gift so long as you allow enough time for it to be created as it's an 18 x 18 approx inch set for you to sew. 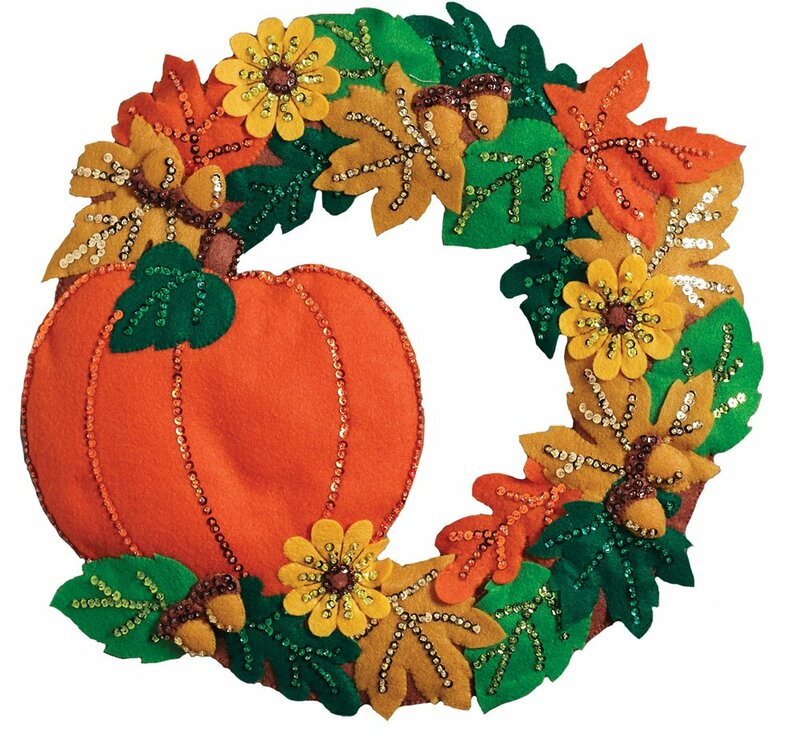 My personal favorite though is this wreath set – you really need a wreath for this occasion but you'll be wanting to put this one somewhere dry and safe so you can enjoy reusing it year after year. It's ideal to use as a wall decoration indoors. 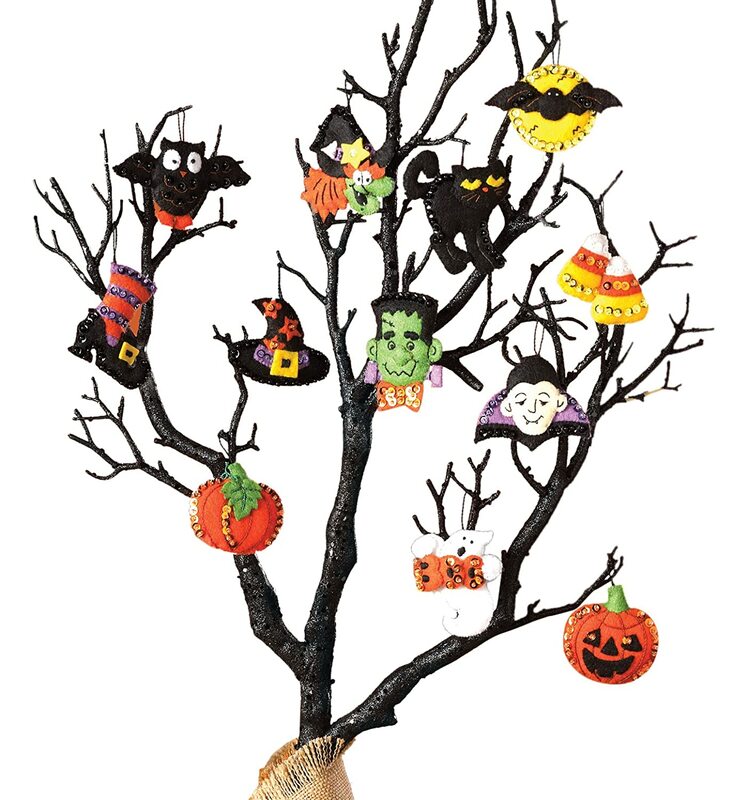 This is a really eye catching piece with larger motifs and symbols that are ideal for this time of year including a witch hat, bubbling spell cauldron, bottles of poison, bat, black cat, toad and a pumpkin. There are quite a few sequins to sew on this set which really make the individual embellishments stand out. 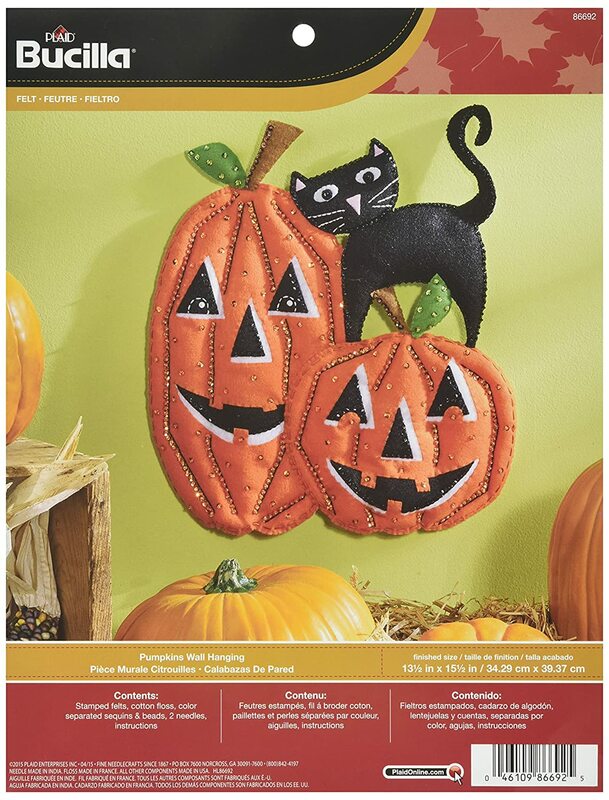 This should be a lot of fun to sew up in the run up to Halloween. And I love the fact that it makes a brilliant keepsake at the end of it. Just carefully store this in plain tissue paper and a box so you can enjoy it year after year. You can let me know if you currently enjoy making things for this time of year below in the comments box.